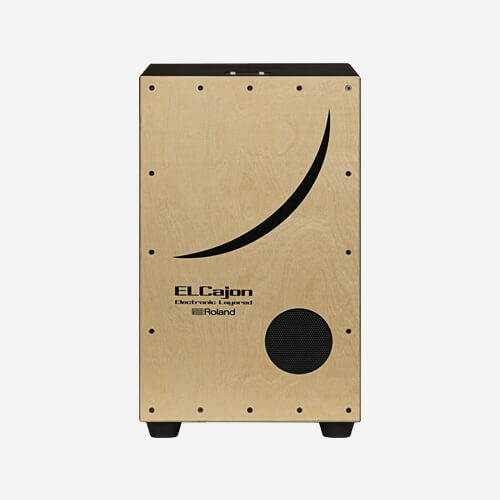 Unique and versatile, the Roland Electronic Layered Cajon EL Cajon EC-10 allows cajon players to easily enhance their music with layered electronic sounds. 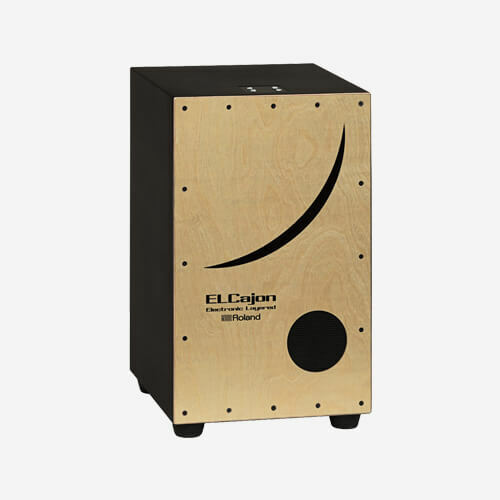 To start, the EC-10 is an authentic acoustic cajon that sounds great on its own. What’s more, it has Roland’s renowned electronic percussion technology built in, letting you blend a range of complementary sounds with the cajon voice, from traditional percussion like tambourine and shaker to acoustic snare, electronic drums, sound effects, and more. Completely self-contained with battery power and onboard amplification, the Roland Electronic Layered Cajon EL Cajon EC-10 puts the dynamic world of hybrid percussion in the hands of every cajon enthusiast. Thanks to its compact size and versatility, the cajon has become the most popular instrument for on-the-go percussion, from local jams and street busking to nightclub performances and beyond. With its built-in Roland sound module and independent head and edge sensors, the Roland Electronic Layered Cajon EL Cajon EC-10 extends the cajon’s organic simplicity to open new dimensions of expression for any musical style. Spice up singer/songwriter and combo gigs with layered tambourine or djembe, add backbeats with an acoustic or TR-808 snare, or bring in some low-end thump with an electronic kick. 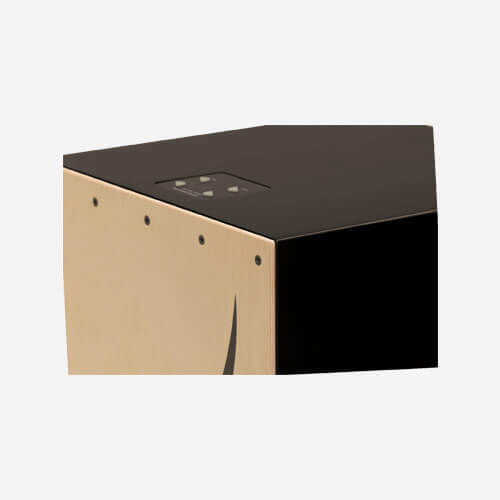 Studio-optimized cajon sounds are also on hand to enhance the acoustic cajon voice for more depth, dimension, and punch. 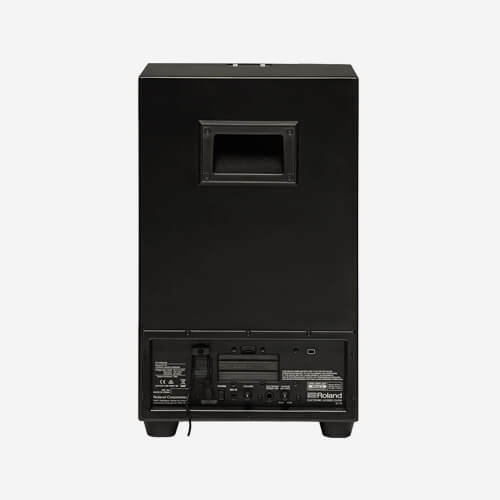 The top-mounted sound controls on the Roland Electronic Layered Cajon EL Cajon EC-10 are designed for quick access and easy operation while playing. 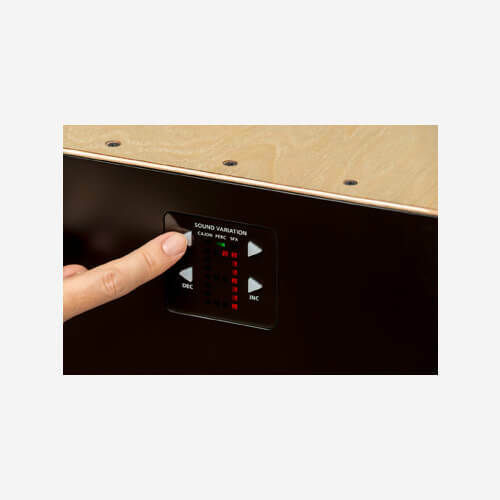 Dedicated buttons are used to scroll through sound categories, while neighboring buttons allow you to select a number of variations within a category. After that, just twist the rear-panel Volume knob to control the level of the layered sound, and use the Trigger Balance knob to adjust the balance between the head and edge sounds. You can also tweak the trigger sensitivity for your personal style and touch. Part of the cajon’s enormous appeal is that it’s self-contained and uncomplicated. While the Roland Electronic Layered Cajon EL Cajon EC-10 contains high-tech electronics, it fully maintains the organic, go-anywhere vibe that cajon players love. The integrated amp and coaxial speaker provide high-quality sound for keeping up with acoustic guitar amps and other instruments, and six AA batteries deliver up to 12 hours of power for long jams anywhere. There’s also a handy input for playing music from a smartphone or song player at home or on the gig. 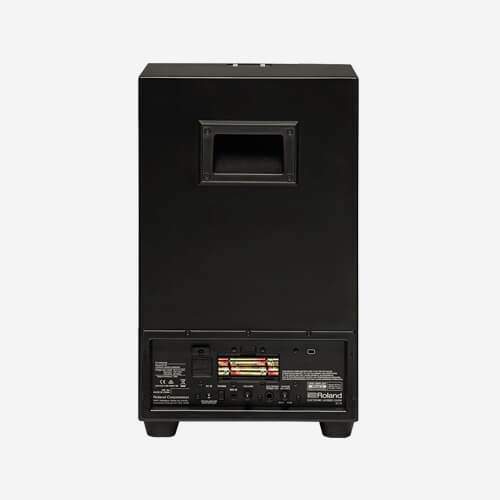 And because the Roland Electronic Layered Cajon EL Cajon EC-10 is a true acoustic instrument, you can always turn off the electronics and play it like any regular cajon. On top of that, it even functions as an extra seat in a music room or family space when you’re not playing!